Rose Hips: The Floral Superfood! What do we typically think of when we see a rose? Usually, we think of a long-stemmed flower used as part of a romantic gesture, or even the fragrant bushes that fill up our yard on a warm summer day. But believe it or not, plants of the genus rosa are not just a source of fragrant beauty. Like so many other plants, they have a nutritional value to herbalists. We often cultivate different parts of a plant as a source of nutrition, such as harvesting the leaves in the case of chamomile, and harvesting the roots in the case of turmeric. But when it comes to the rose, the part with the most nutritional value is the fruit. This is the part we know as rose hips. Rose hips are perhaps most known for their extremely high amount of vitamin C. Indeed, the fruit of the dog rose and the cinnamon rose have particularly rich Vitamin C content. Rose hips are also known to be rich in antioxidants like carotenoids, and studies have been done that have determined that daily consumption of rose hip powder can significantly reduce cardiovascular risk in obese people through a lowering of blood pressure (Andersson, et al, 2012). Autumn is an ideal time of year to harvest rose hips, as the emergence of the plants’ fruit follows the natural bloom of their famous flowers earlier in the year. The hips should be gathered from the plants when they have become a nice bright red color. A popular way to take advantage of their nutritional value is to prepare them as a tea, and to do this you can cut each fruit in half, soak them in a bowl of water, remove their seeds a day later, and either run them through a dehydrator or dry them in the sun. Then you can either use them right away as the basis of a tea or freeze them indefinitely and defrost them as needed. If you want to learn more about foraging for Rose Hips, we recommend checking out this post by Lovely Greens! Rose hips are a valuable addition to any herbalist’s cabinet, and whether you grow them yourself or not, be sure to include them in your herbal routine. 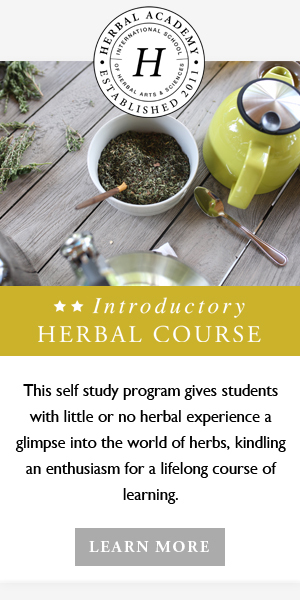 To learn more about herbs that can replace supplements as a viable way to get nutrition, check out our Intermediate Herbal Course. And let us know of your adventures with rose hips in the comments below!